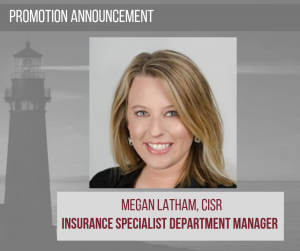 Megan Latham is being promoted to Insurance Specialist Department Manager. 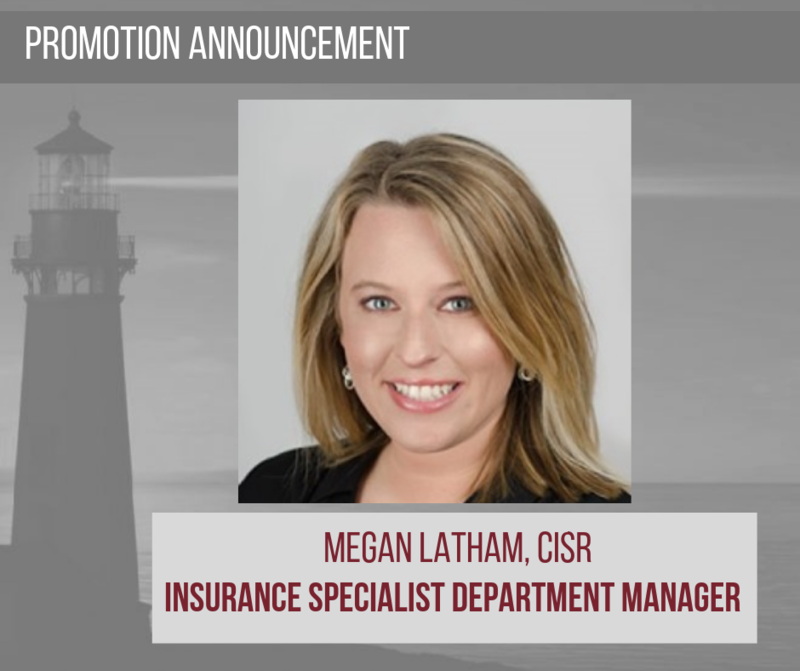 Megan has been a stand-out in the Insurance Specialists Department since she joined the Angela Adams Consulting team in 2017. She discovered her passion for the insurance industry in 2011 while pursuing a degree in Psychology from Limestone College. She has served agencies in marketing, processing, and as a producing agenct for both personal and commercial lines. Now, she will lead the way for our team of Insurance Specialists.